This quiz tests you on black and urban slang. NB: you can also print this quiz on paper. 10. Yo! - When someone says "Yo! ", it means the same as saying: a) "No!" b) "Hi!" c) "Stop!" Common English Idioms: Learn idioms easily. 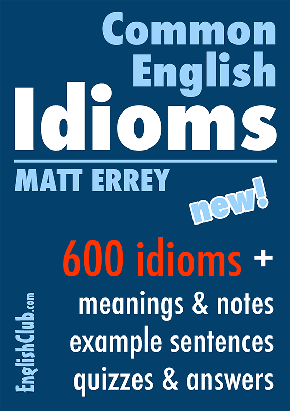 This PDF ebook includes 600 idioms with meanings, notes, example sentences and quizzes with answers. Read it on your smartphone, tablet or computer anywhere. 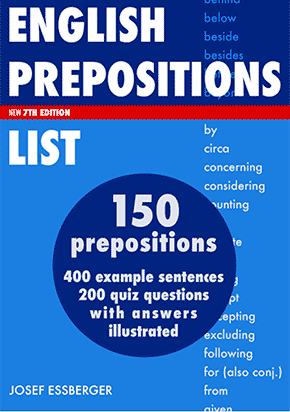 English Prepositions List: Download this PDF now and read on your computer, tablet or smartphone, or print it out on paper. Photocopy pages and use them for self-study or as worksheets in class.